The Manics return for their tenth album, a milestone in their career. Thankfully they are still on top form, and this album could be seen as a continuation of what was started with “Send Away The Tigers”. They sound unusually upbeat with tracks like “I Think I Found I” and The Wire is on top form with his lyrics in tracks like “A Billion Balconies Facing the Sun” and “Don’t Be Evil” – the latter seemingly taking a swipe at Google and internet blogging culture. They’ve said this is their last chance at “mass communication” and I have mixed feelings about this, some of their best songs were written when they were trying make popular music but wonder what they could achieve without that constraint. Favourite track? It’s difficult because they are all so good, but it would have to be the title track ‘Postcards from a Young Man’ or ‘Don’t Be Evil’. When James got back together in 2007, many could be forgiven for thinking they might release a new ‘best of’ complication and do a tour (they did) to make some money and then go back to hibernation. Thankfully they stuck around, and we now have their third album since the reformation. A sequel to ‘The Night Before” the silky guitars from Larry and Soul’s energetic violin make this album melt away in your brain. My favourite song, “Tell Her I Said So”. Technically released in 2008, however I came across it in 2010 which is why I am including it here. It’s been a long time since I’ve discovered a new band that write such interesting music with lyrics to match. 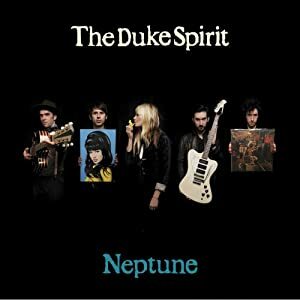 This album spans multiple genres, from the poppy “My Sunken Treasure” to the all out rock energy of the title track “Neptune’s Call” to the blues of “This Ship Was Built To Last” every song on this album sounds fresh and the lyrics will make you laugh, or send a shiver down your spine. Looking forward to their next album out in 2011. My favourite track would have to be “Neptune’s Call”.